When I sat down to think about my role in the content production process, I didn’t know exactly where to begin. There is so much that goes into creating great content and as a graphic designer, I am flooded with opportunities to produce something new at every turn. Content serves the purpose of creating a connection with our audience while giving them something of value and creating brand awareness. This makes content a particularly amazing marketing tool, but the means of actually creating an effective piece of content involves determining who you want to communicate with and what action you want them to take. As such, developing a strong and targeted content strategy is essential before beginning the content production process. The strategic part of content creation, however, is not where I want to focus. My goal is to have a conversation about two major components that come into play for creating engaging and memorable content. The copy, and the design. Any great piece of content should include copy that keeps the reader engaged, and a beautiful design that’s original and eye-catching. These two things work together to present a harmonious union of parts. This gorgeous duet is only possible when a designer and writer work together as a team, like a well-oiled machine. In other words, the writer and the designer need to work in tandem, each using their skills to deliver strong content. As previously stated, I myself am the designer in this dream team. As my writer finishes up her beautifully symphonic copy, I step in to bring it to life with design. 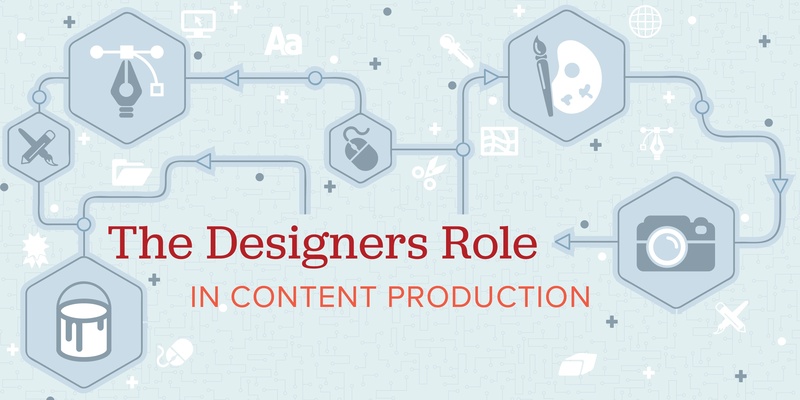 The role of a designer in the content production process is to create graphics or visual elements to support and sometimes be the foundation of your content. 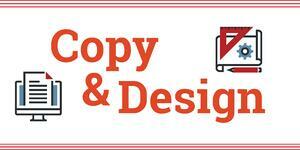 The design and the written copy go hand-in-hand, neither can truly thrive without the other. A simple example is blog copy and visual. Imagine, your blog post is compelling, witty, and relevant; once a reader starts they simply cannot stop. But, how do you catch their eye? How do you make them start reading? This is where relevant, inspiring, or thought-provoking visuals come in. Our brains are drawn to beautiful images, especially in the age of digital. Statistics show that a blog post with visuals or images included produces 650% higher engagement than posts that are purely text. Without strong visuals, your words could go unread. Now that would be a true content tragedy. Written content is an integral part of content marketing. However, the presence of visual assets in content is increasingly growing in importance as technology and the way people consume information continues to evolve. Visual content can be created in various forms including photos, illustrations, CTA’s, infographics, and videos. Images are a simple and effective way to split up chunks of text while supporting the information being presented. 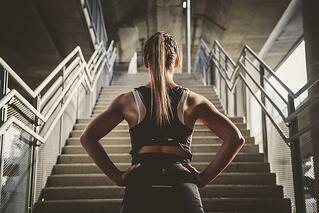 It’s always best if you can use original photos or images, however, there are many resources available like Shutterstock and Flickr that provide quality images for little or no money. If you do plan to outsource images, be sure to have the proper licensing and/or authorizations from the provider. Calls to action are visuals too! CTA’s are an important part of getting your readers to do what you want. CTA’s come in all forms but most commonly are seen as buttons that are linked to your website for your prospects to take an action. CTA’s need to be visually striking with the right copy and should be placed in an easy-to-find location. Just another great example of copy and design coming together for the greater good. Memes are essentially images with the addition of a humorous or engaging caption. 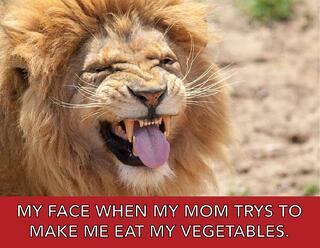 Memes are easy to consume and are a relatively simple way to relate to your audience. Also, memes have proven to be a particularly popular way to increase shares and interactions on social media. Charts are incredibly helpful when it comes to visualizing data. They help by identifying relationships and provide contextual clues for the viewer to digest the information. 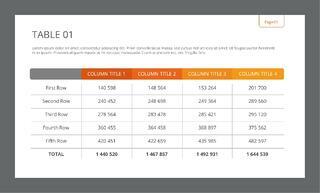 Tables are also a great tool for organizing data in a visual way that isn’t just throwing statistics at your readers - that’s boring! 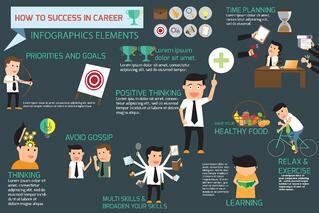 Infographics are an amazing visual aid and they have an excellent track record for driving more traffic to a website. A major component to the success of an infographic is ensuring the layout and design are cohesive and as impactful as possible. 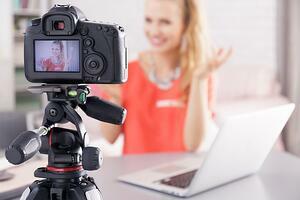 Videos can prove to be a crucial part of your content marketing strategy. Videos take a great deal of time and manpower to create but if done correctly, it can instantly convert leads into customers. The type of video you can use can range from how-to videos, demonstrations, testimonials, animations, and so much more. The type of video you use should be consistent with your message and branding. Repurposing content or making enhancements with visual aids is always a great and easy option if you have limited resources. The content production process involves many contributors. The overall goal is to have strong communication between all participants, especially the writer and the designer. I hope this provides you with a unique perspective on producing content and inspires you to get to work on creating some awesome visual content!